the studio to unload my latest bisque kiln. And everything looked good. 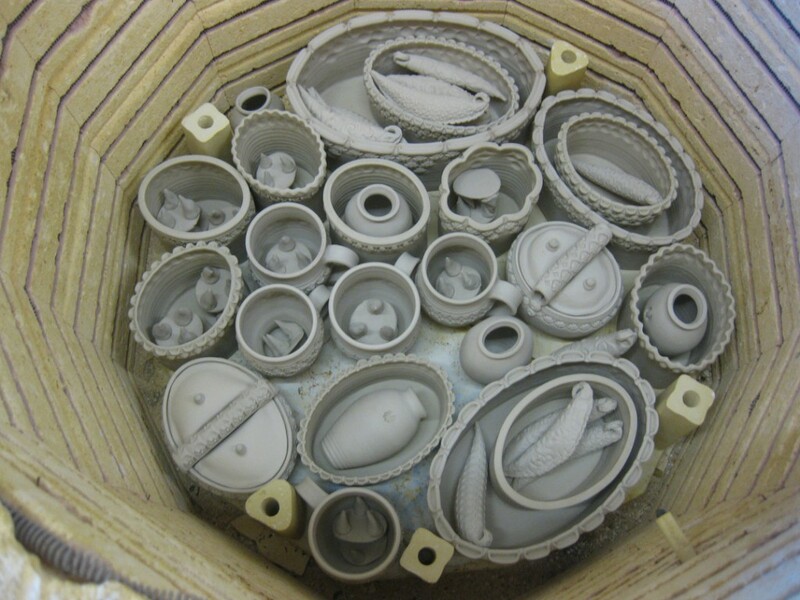 if there was to be any chance of getting them into Friday’s kiln loading! So I just got home from a whirlwind trip to Dover, Delaware! We were there for just over 24 hours! But it still counts in my “states I’ve been to” challenge. My rule is that I have to actually sleep overnight in the state for it to count. Only about ten more to go! 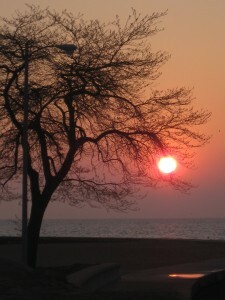 Sadly, I didn’t really catch too much of a sunrise this morning. 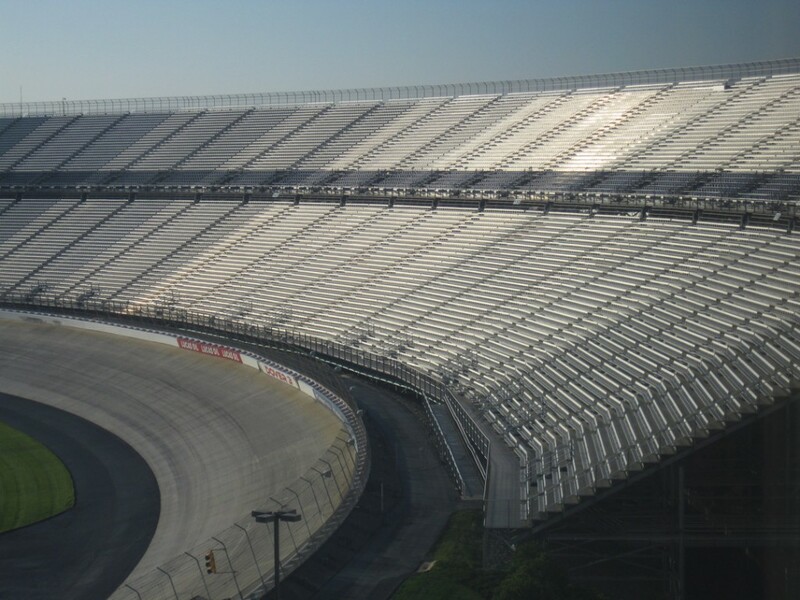 but I did love the early morning sun reflecting off the bleachers! 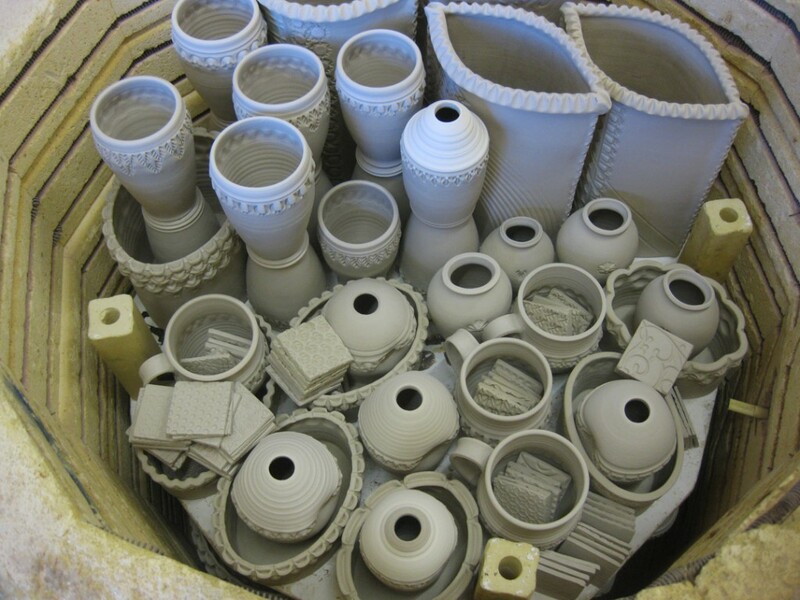 Out With The Fired… In With The Unfired. 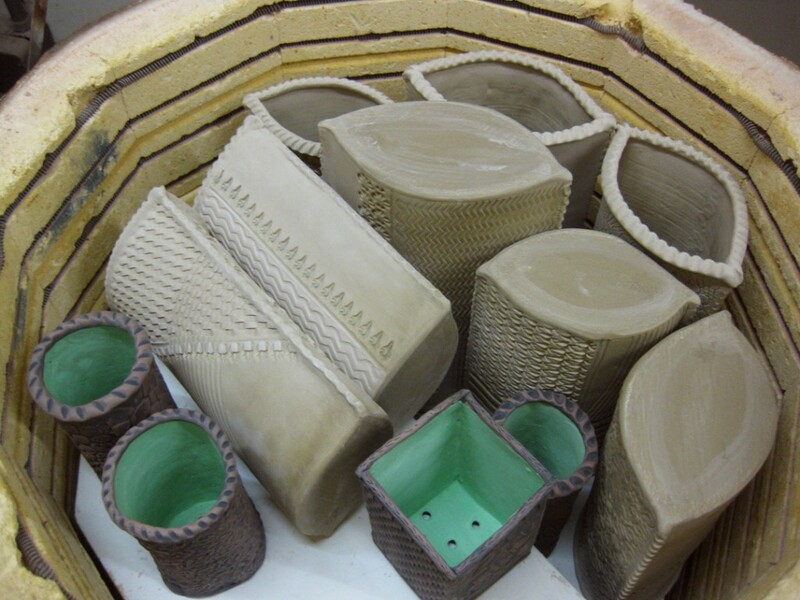 kiln ever, but it was more about getting all of my textured slab vases into the kiln! that didn’t quite make it into my last kiln! 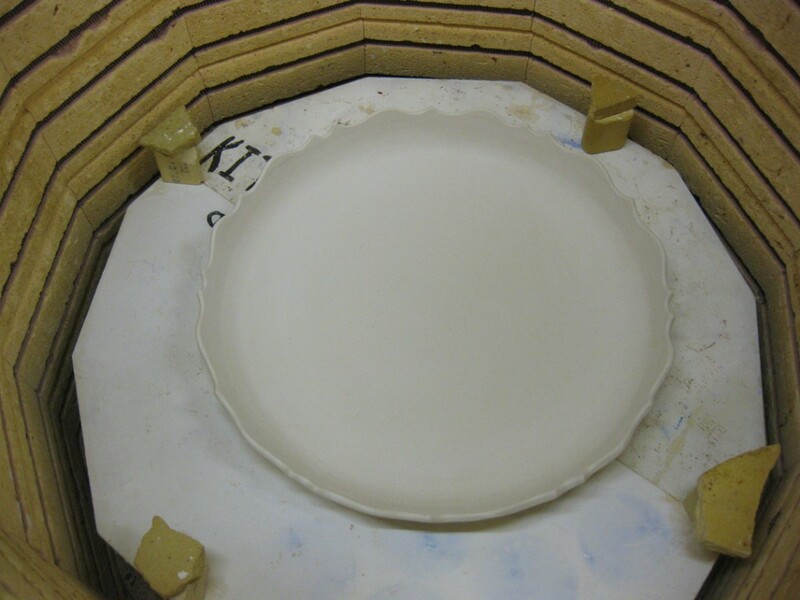 Kiln Layer #2 – A large porcelain platter by my studio neighbor Karen Patinkin. 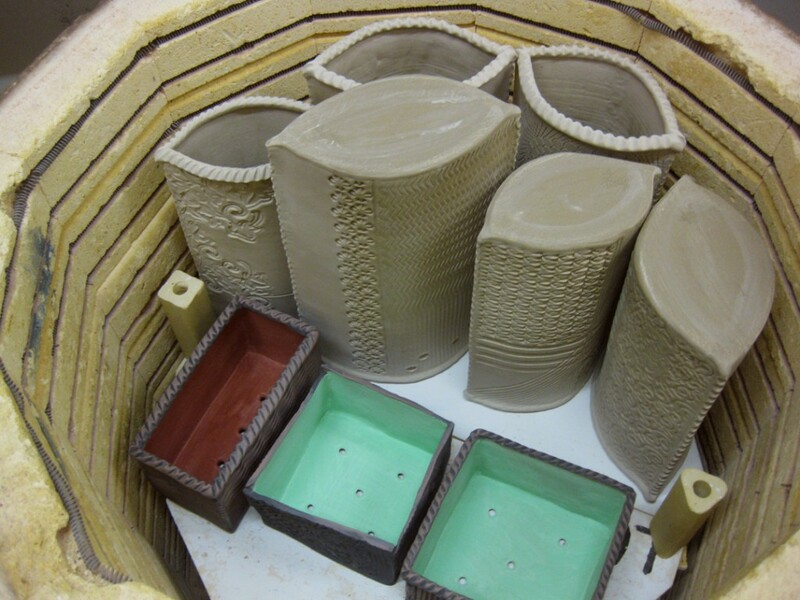 I hate to leave extra space in my kilns! So I slipped in Karen’s platter to fill the space! projects back so they can start growing their gardens! 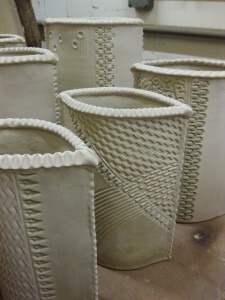 Kiln Layer #4 – A couple more textured slab vases – but these were too tall to fit in. 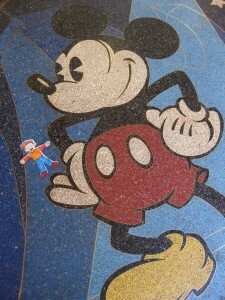 So I laid them down sideways! 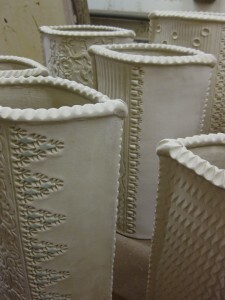 Plus, a couple more terra cotta planters! pre-heat time and fire it slowly. 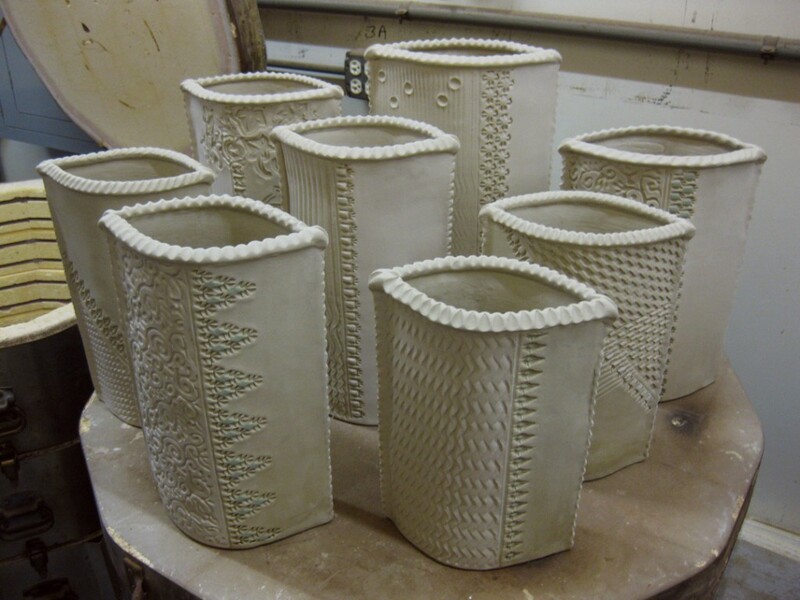 With my next soda kiln just a week away, I made one last batch of textured slab vases. curve of the roof. Unfortunately, I only finished these yesterday, so they’re not quite dry! pre-heat, fire slowly and hope for the best! 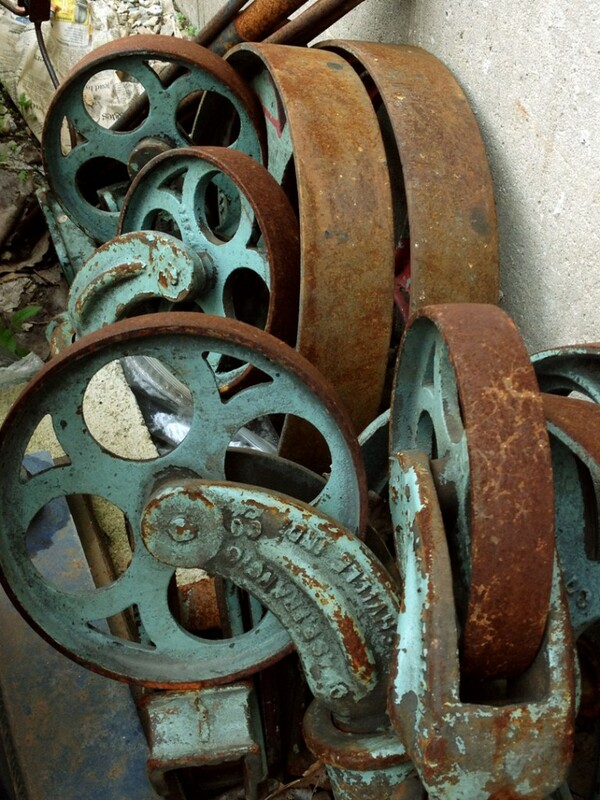 You know how I love my rust… and I REALLY wish these were mine! Well, the official kick-off to my Summer Art Fair season is just one month away! It’s confirmed – I’ve been accepted to all of the shows I applied to again this year. So I’m trying to crank out as much new work as possible between now & then. Mark your calendar now to come out and see what I’ve been working on! 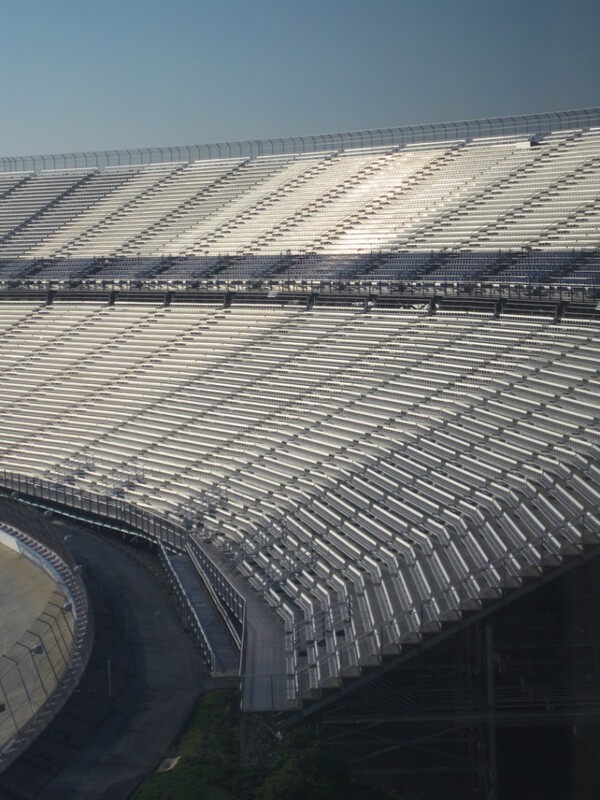 And don’t forget… you can always follow the progress on Facebook too! 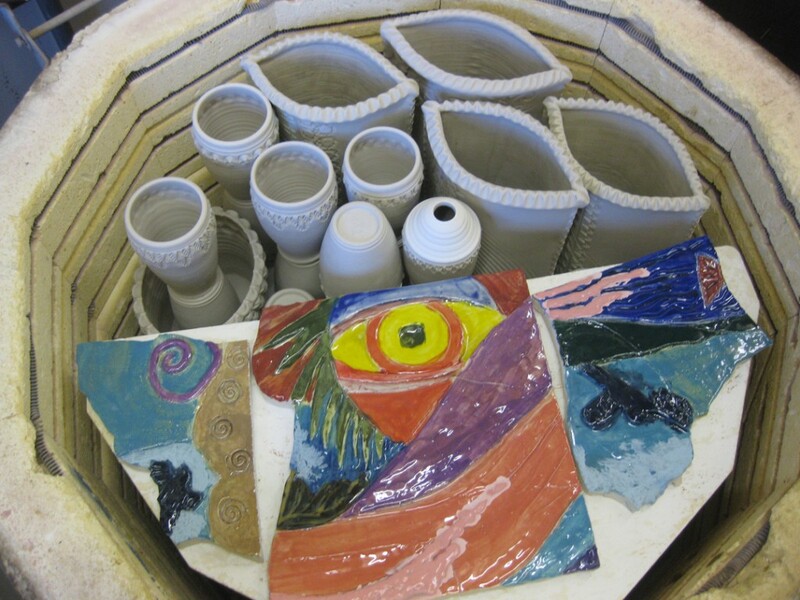 Click here for my pottery page… Fire When Ready Pottery on Facebook. 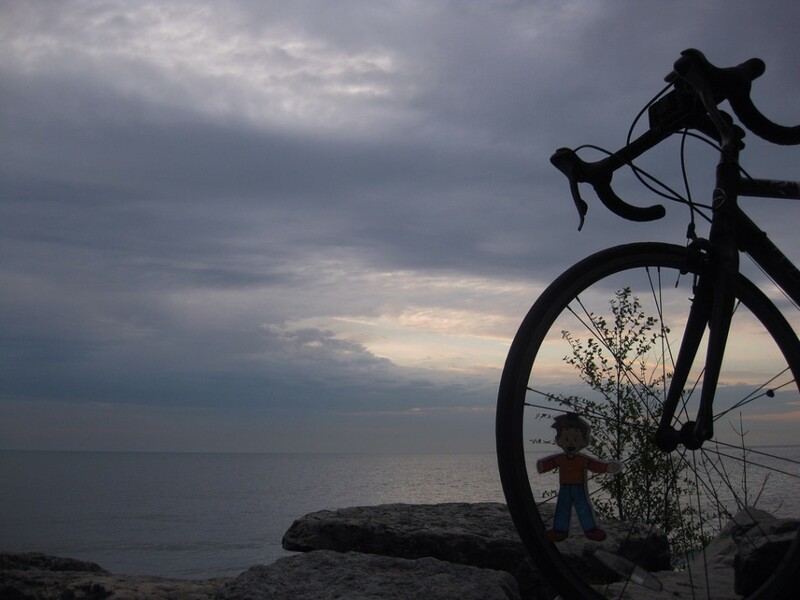 Art Detour… in the beautiful Wisconsin Northwoods! Featuring artists: Amy Higgason, Sarah Chapman, Kathy Furda, Wendy Powalisz & me! Beautiful fall colors, handmade art and gourmet s’mores to top it all off! 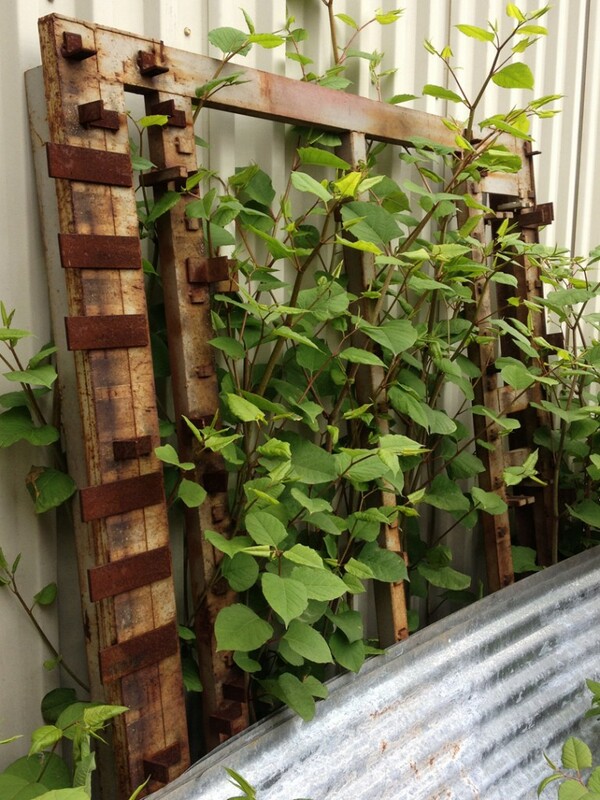 Located on the grounds of Pigeon Road Pottery… also Amy’s home! A collaborative holiday show with master metalsmith Sarah Chapman. 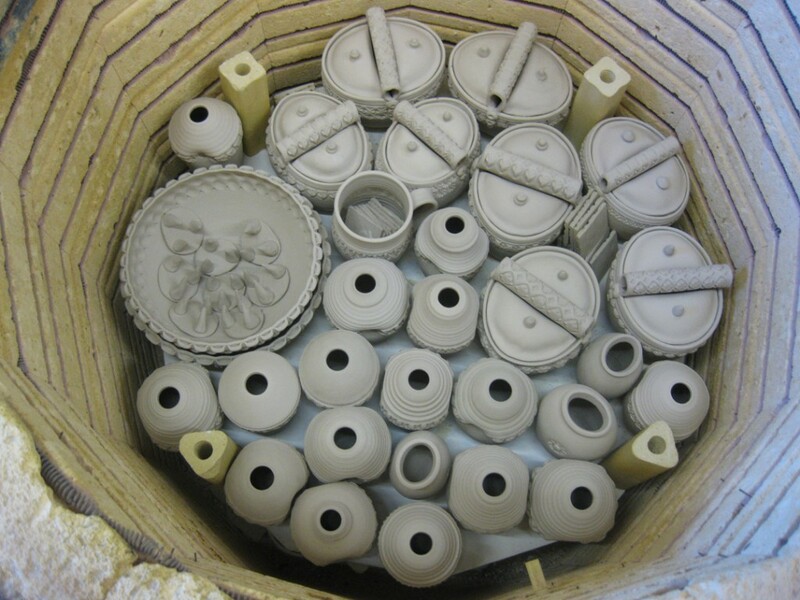 loaded into my next soda kiln, I figured I better get started with firing some of my pieces. marathon glazing days next week if I have any hope of being ready in time! 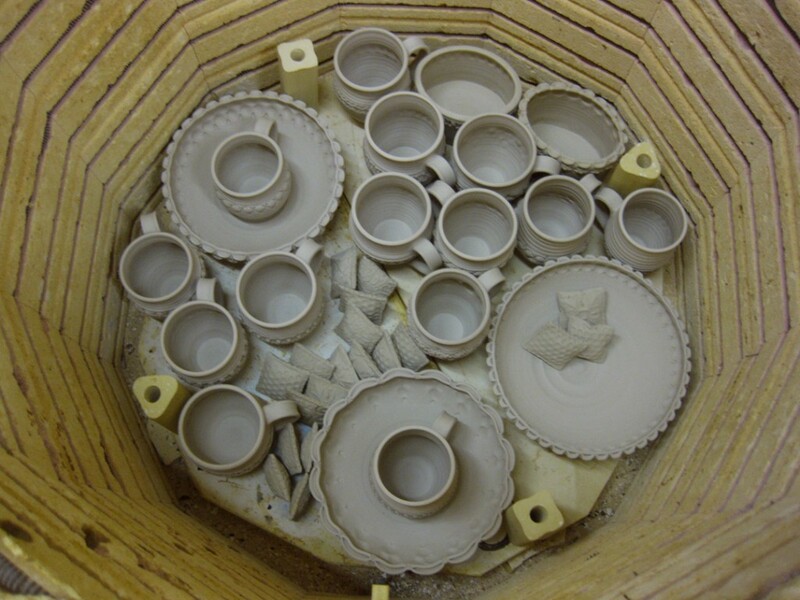 Layer One : Ovals, Mugs, Small Vases and more! Layer Two : Bowls, Soap Dispensers, and some new two-parters ala Julia Galloway! 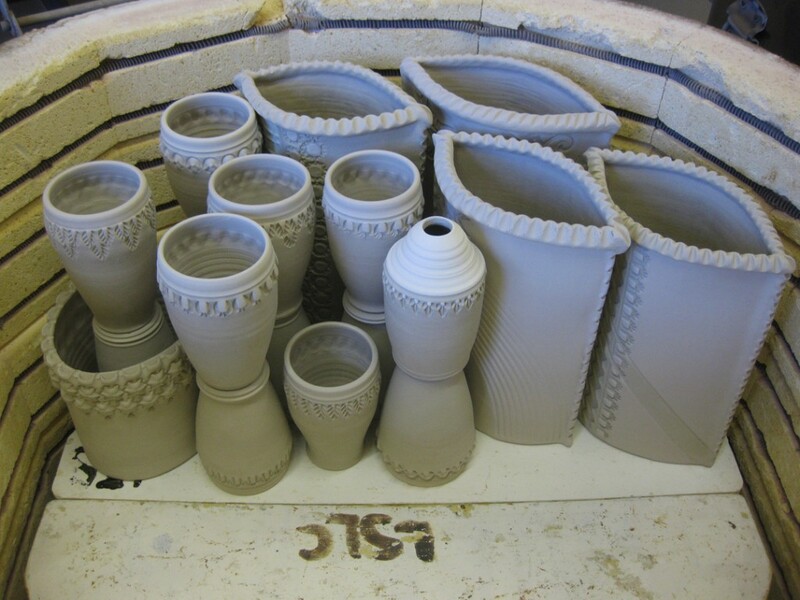 Layer Three : Slab Vases, Ovals & Tumblers… some stacked two high to fill space! 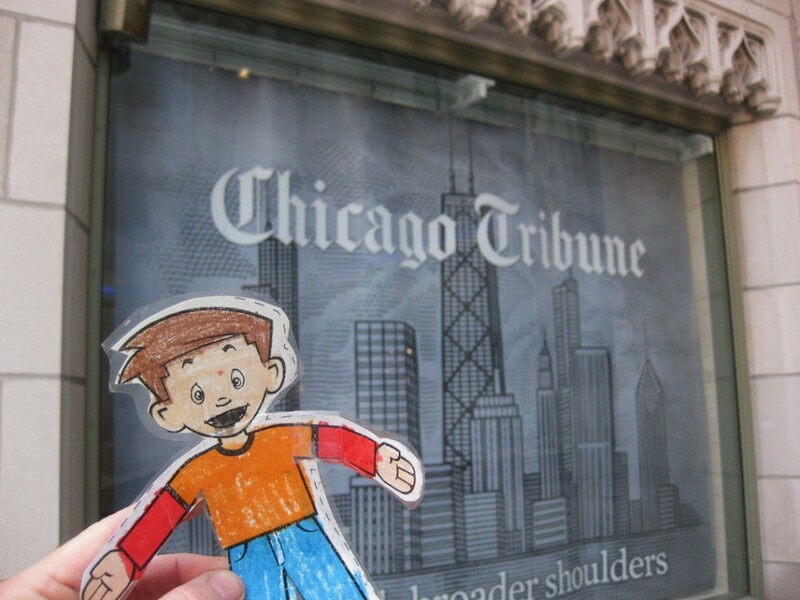 Scott… I’m trying to get closer to tumble stacked with no shelves… soon… ha! 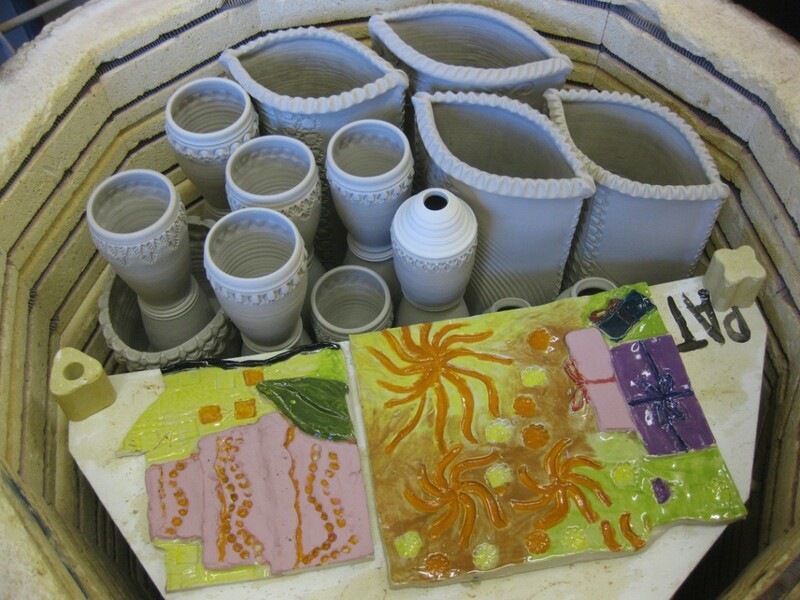 Layer Three and a Half : more Ovals, Soap Dispensers, Small Vases and Tiles. that she needed re-fired for a kids classroom project. 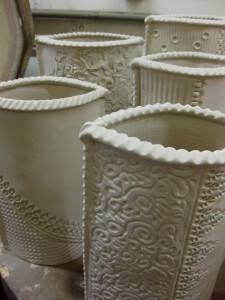 Layer Five :another layer of Corinne’s pieces to be re-fired. 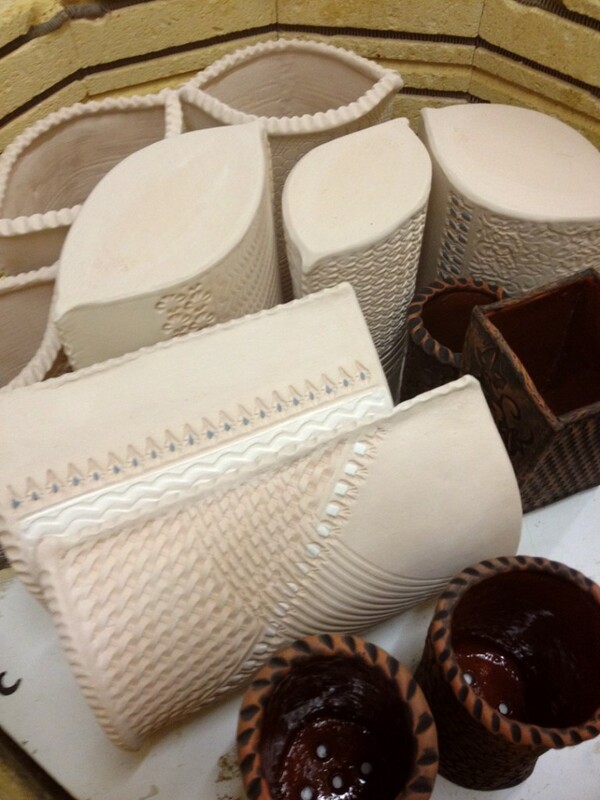 I love the sharp color contrast to my very neutral gray greenware pieces! appearance this morning. From the beach, you also get a good view of the city skyline. 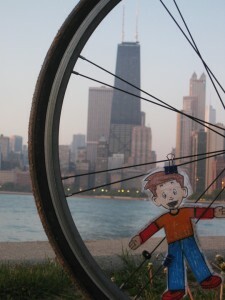 Flat Stanley was quick to strike a pose on the spokes of my bike! 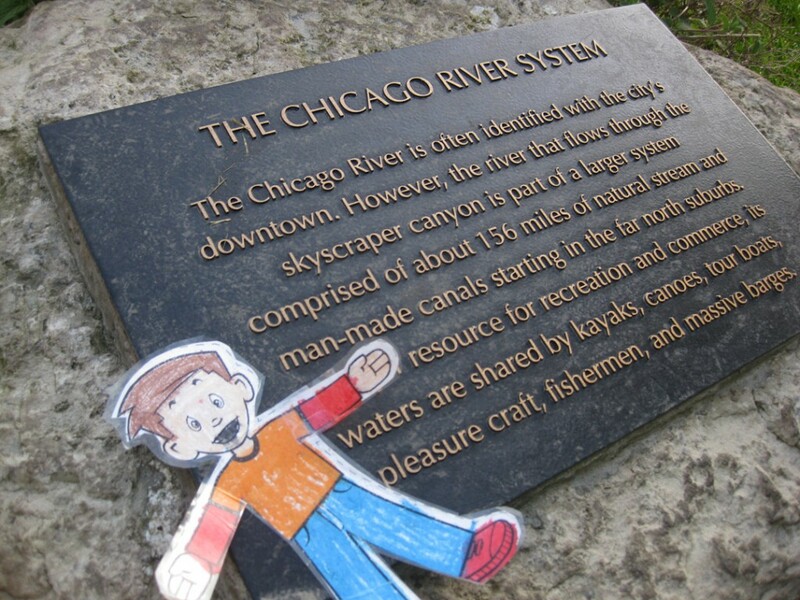 There I was… only a few more days with Flat Stanley. 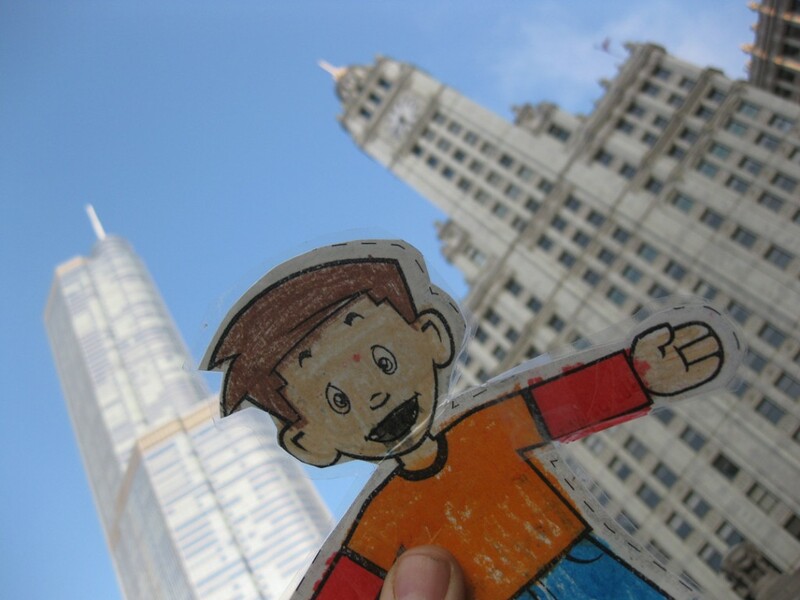 He still needed to see the Big City! 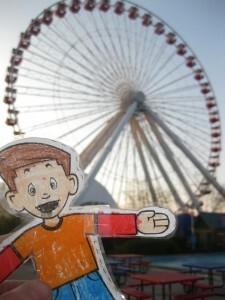 Ferris Wheel that Taylor got to ride last summer. 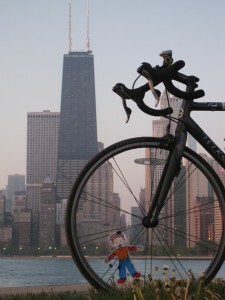 We also pedaled along the Chicago River and made it to Michigan Avenue. 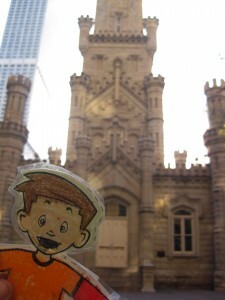 Stanley was impressed by the big buildings… especially the gleaming white Wrigley Building! 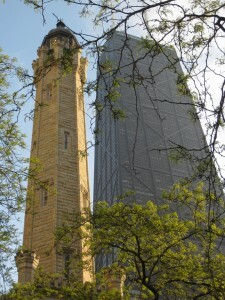 Across the plaza from Marilyn Monroe is the beautiful Chicago Tribune Building. 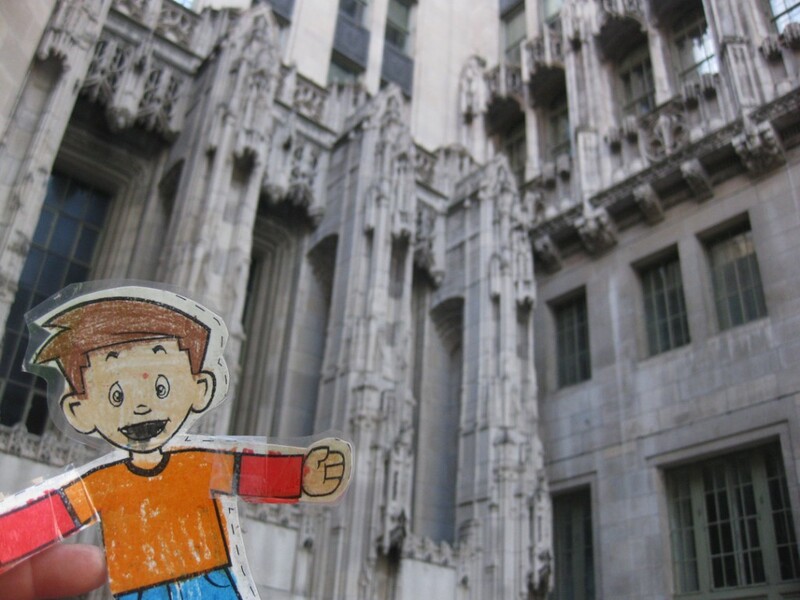 pieces & parts for other famous & historic buildings around the world. through the window as they work. 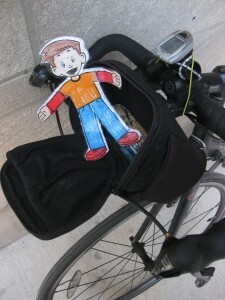 And Stanley climbing out of my bike bag! 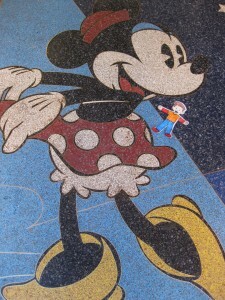 greeting you at The Disney Store. across the street that survived the fire… but who’s counting?! 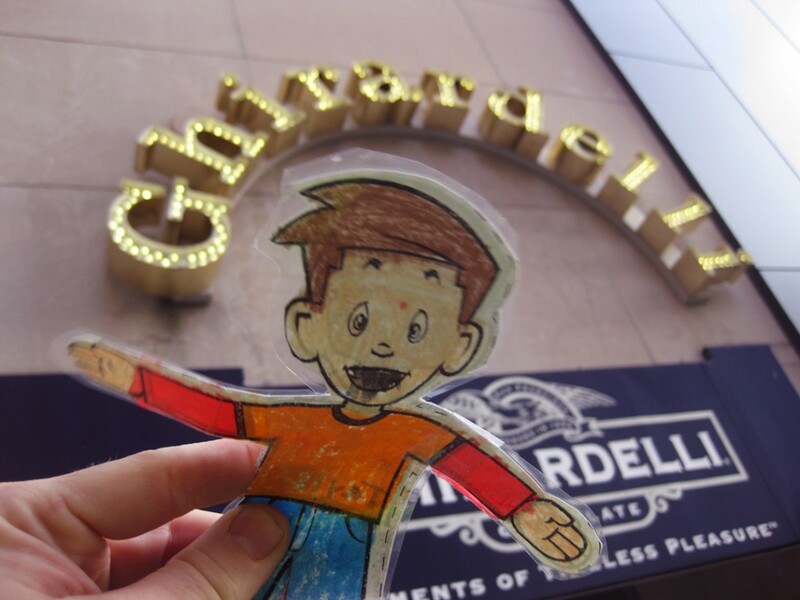 And a trip to downtown Chicago would not be complete without a stop for some chocolate! 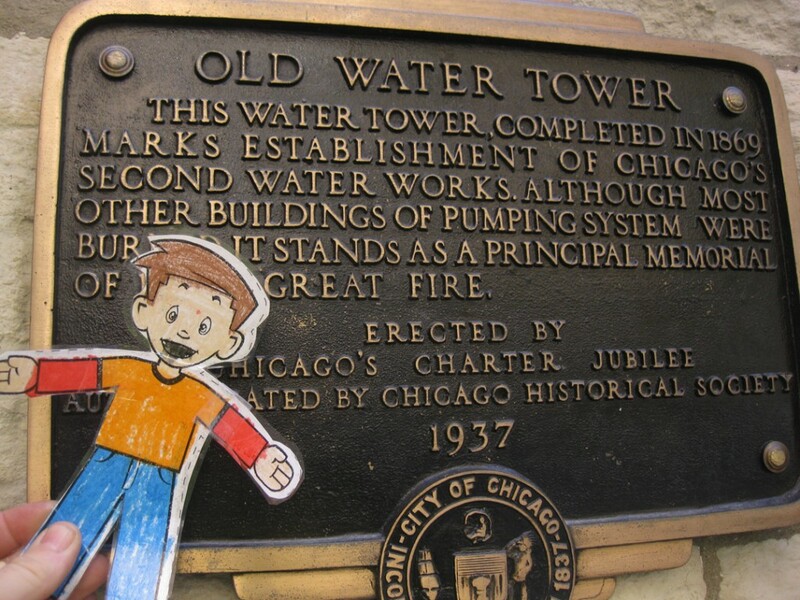 Sadly, they weren’t open yet… shucks… I guess Stanley’s tour was not quite complete! 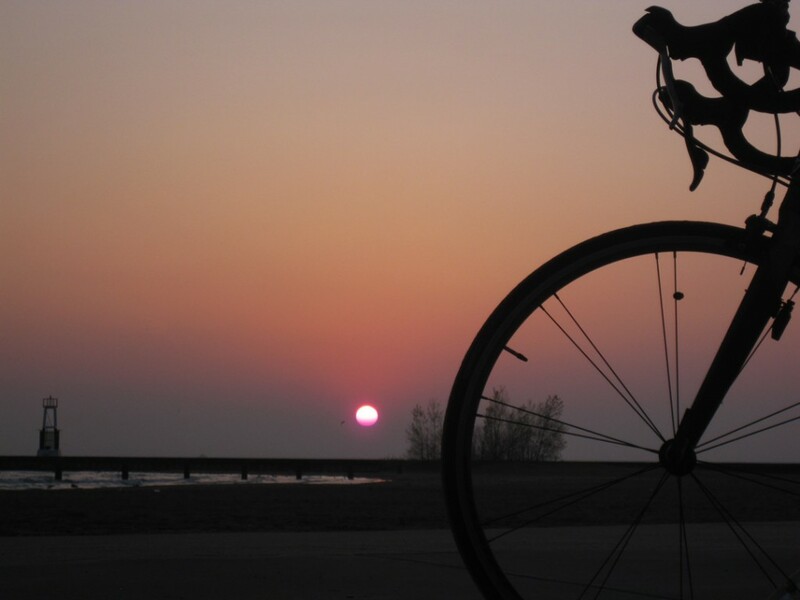 all the way home… into the wind!!! Needless to say, I was exhausted and running late. I actually sent a text message to the “glitter gig” to tell them I would be coming in later. 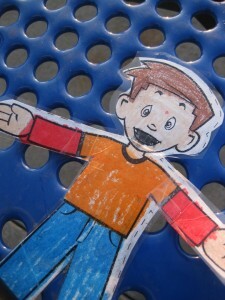 And I blamed it all on Flat Stanley and his Big Adventure!!! This morning was a bit windy. 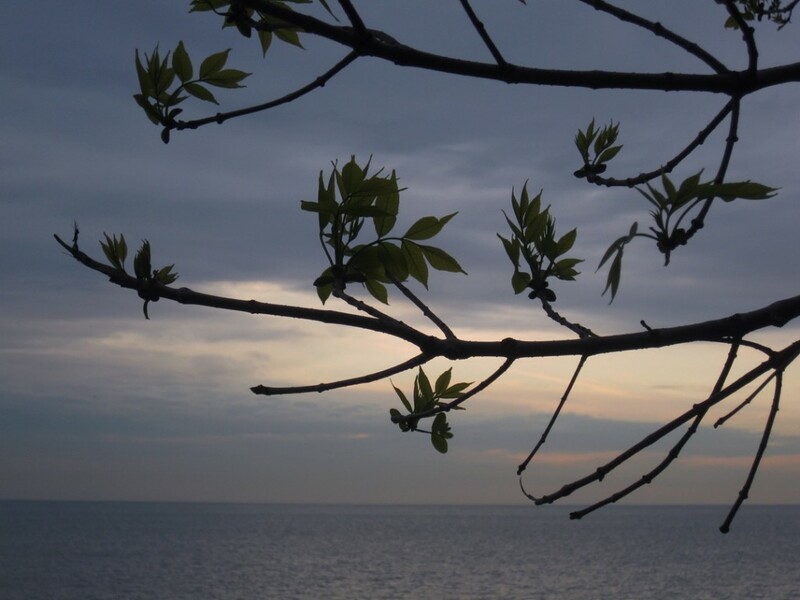 And chilly as the wind was coming from the north & off the lake. 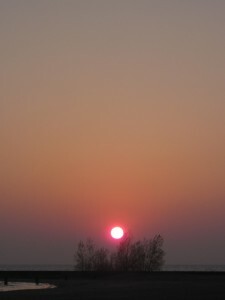 And there was bit of haze on the horizon which kept us from getting a clear & colorful sunrise. A little confusing how there seemed to be no clouds in the sky, and yet it wasn’t clear?! 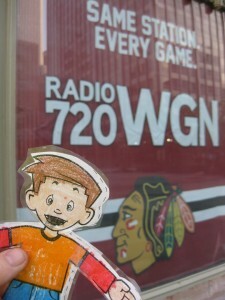 Flat Stanley’s second sunrise.. and it’s not much to speak of. 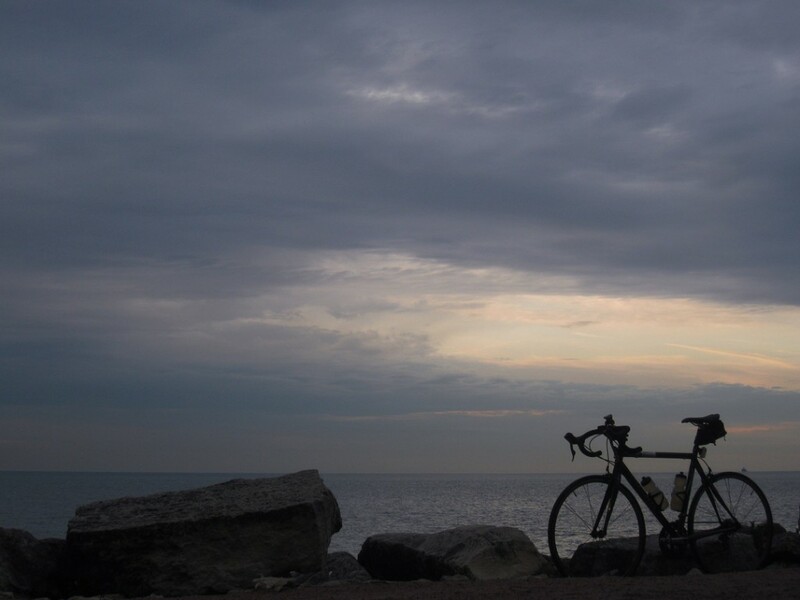 Kinda gray… kinda gloomy. 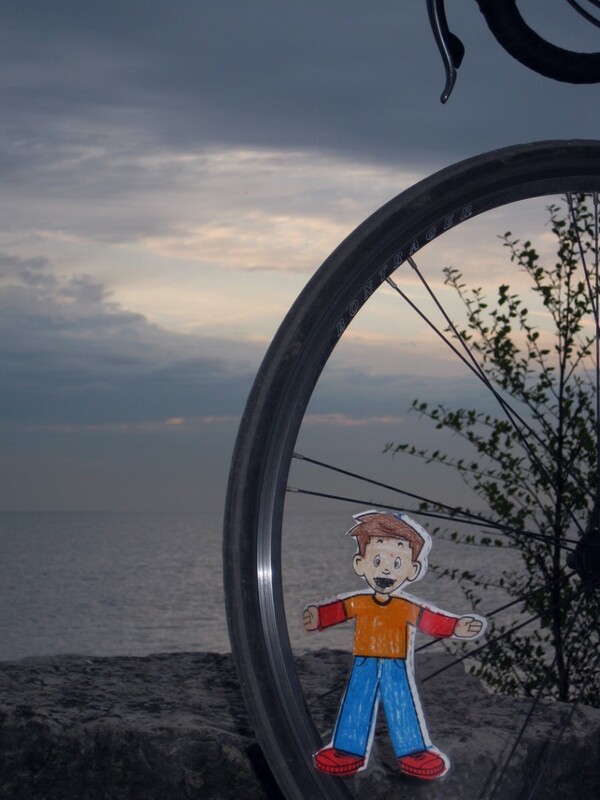 Not so sunny this morning for Flat Stanley’s second bike ride. And to make it even “better”… a little bit of drizzle as I was headed home!